A no-nonsense way to write cleaner UITableViewDelegate and UITableViewDataSource in Swift. 👆 Convenient UITableViewCell subclass that implements a swippable content to trigger actions (similar to the Mailbox app). BouncyLayout is a collection view layout that makes your cells bounce. A modern Swift framework for building reusable data-driven collection components. VTMagic is a page container library for iOS. A UITableView extension that enables cell insertion from the bottom of a table view. Bohr allows you to set up a settings screen for your app with three principles in mind: ease, customization and extensibility. Simple timeline view implemented by UITableViewCell written in Swift 3.0. A drop-in mosaic collection view layout with a focus on simple customizations. A lightweight CollectionView that 'pages' and centers it's cells 🎡 written in Swift. Nice card-designed custom collection view layout. Spreadsheet CollectionViewLayout in Swift. Fully customizable. TLIndexPathTools is a small set of classes that can greatly simplify your table and collection views. Protocol-oriented UITableView management, powered by generics and associated types. Dragging & Dropping data across multiple UICollectionViews. A cells of UITableView can be rearranged by drag and drop. Enhanced transitioning between UICollectionView layouts in iOS. Infinite paging, Smart auto layout, Interface of similar to UIKit. I envied so much Spotify iOS app this great playlist preview cell. Now you can give your users ability to quick check "what content is hidden under your UITableViewCell". Make your table view expandable just by implementing one method. Add drag-and-drop reordering to any table view with just a few lines of code. Robust, lightweight, and completely customizable. A Swift collection view inspired by Airbnb. A swift library to support collapsible sections in a table view. HoverConversion realized vertical paging with UITableView. UIViewController will be paging when reaching top or bottom of UITableView contentOffset. 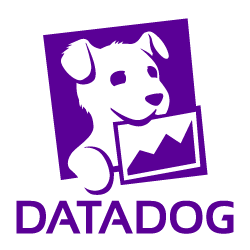 PJFDataSource is a small library that provides a simple, clean architecture for your app to manage its data sources while providing a consistent user interface for common content states (i.e. loading, loaded, empty, and error). A generic small reusable components for data source implementation for UITableView/UICollectionView in Swift. Easy way to integrate pagination with dummy views in CollectionView, make Instagram Discover within minutes. Elegant and easy way to integrate pagination with dummy views. Customizable wheel picker view implementation for iOS. This is a customisable three level accordian with options for adding images and accessories images. Support for drag-n-drop of UITableViewCells in a navigation hierarchy of view controllers. You drag cells by tapping and holding them. Do you think we are missing an alternative of CascadingTableDelegate or a related project? There are no recommendations yet. Be the first to promote CascadingTableDelegate! Have you used CascadingTableDelegate? Share your experience. Write a short recommendation and CascadingTableDelegate, you and your project will be promoted on Awesome iOS. Do you know of a usefull tutorial, book or news relevant to CascadingTableDelegate?